Wholesale Flowers Ordered: Wholesale Bulk Roses 200 Stems Your Colors (200 stems in White and Cream), Make Your Own Flower Centerpieces Combo Box (1 box), White Carnation Flowers (100 stems), Green Lisianthus Flower (5 bunches), Midnight Plum Mini Calla Flower (50 stems), El Aleli Peach Flower (60 stems), Chocolate Lace Flower (5 bunches), Wedding Green Mix Small Green Filler Flower (1 box). 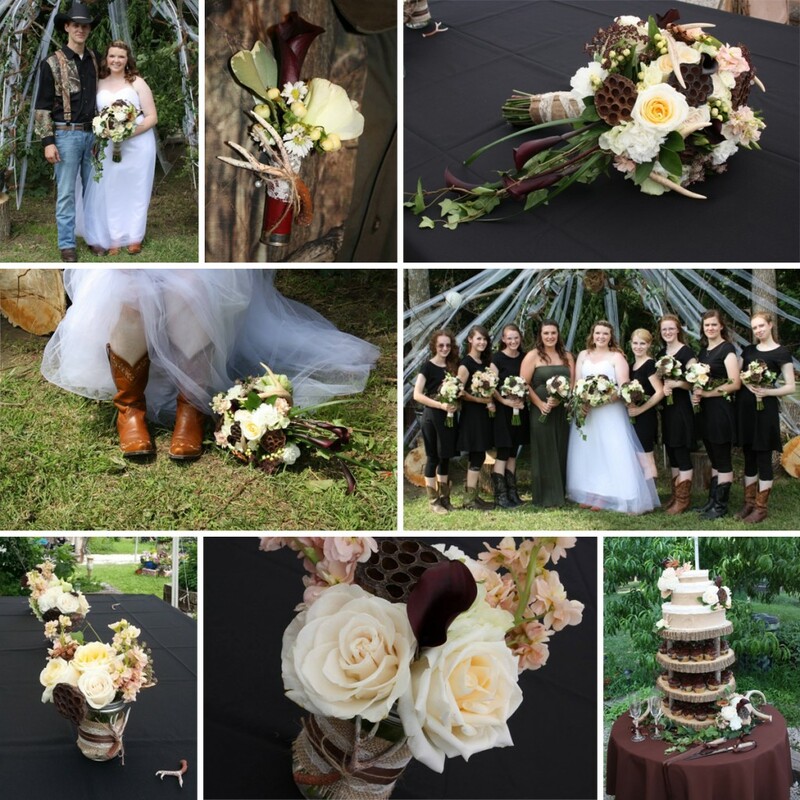 What She Made: 1 Bridal Bouquet, 8 Bridesmaids Bouquets, 4 Corsages, 8 Boutonnieres, 12 Centerpieces and 3 Other Decorations! To see Kristy’s Full Review, including her flower ratings, Click Here! Want your chance to Win $500 towards your Wedding Flowers from FiftyFlowers.com? Enter our Pin to Win Contest! There are only two more chances to win, our September contest going on now, and our October contest which will start Oct. 1st. Click Here for more details and to enter! Good Luck!